In 2011, Amita wanted to promote the amita fun juice to younger ages. They discuss the promotional idea with Wunderman Athens, and they come up with the idea of a Young Amita FunClub, as a section of the existing website of Amita. They assinged the development of this section to intros.gr. 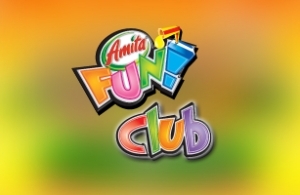 Intros.gr created a flash website, where all childreden had to sign up, upon parental permission, in order to be member of Amita Fun Club and get a membership card. The preveledges for the club , were discounts in bookstores, discounts to various services e.t.c. Whether you want to create a well designed and developed website or you need a website for your promotional campaign, intros.gr can implement your idea. Do not hesitate to contact us for any of your questions, or request a quote for the implementation of your idea.